Three education technologists from Wisconsin offer their perspectives on implementing a successful learning management system. Working with the mantra, “Every child, every day,” Sun Prairie Area School District (SPASD) in Wisconsin focuses on teaching every student in engaging and innovative ways and leading them toward full mastery of rigorous learning standards. But as the fastest-growing school district in the Badger State, SPASD was using a patchwork of organizational platforms to support its digital learning initiatives. Google Classroom, Edmodo, Haiku, and Schoology, for example, were just a few of the platforms being used in lieu of a cohesive pedagogy and curriculum vision. Seeking a better way to achieve its curricular and instructional goals, SPASD implemented itslearning’s end-to-end enterprise teaching and learning platform in 2016. That platform now serves as the foundation for SPASD’s new 1-to-1 Chromebook program and also supports its “Future Ready Schools for Sun Prairie Students” plan. 1) First, create a common vision across all school leaders. The district assembled a team of nearly 40 staff members to identify what it wanted from an LMS, and included curriculum leaders, teachers and IT staff in the process. 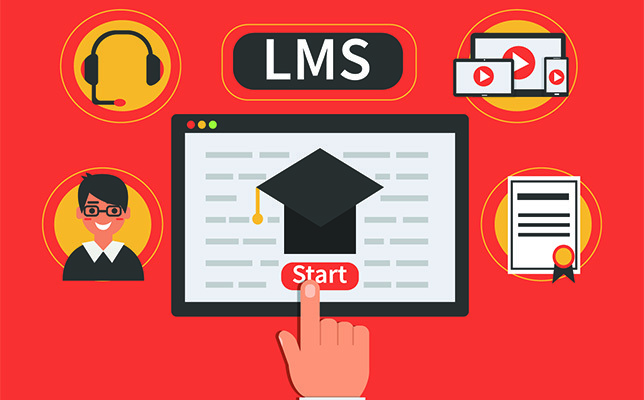 “There wasn’t much recognition that we needed a district-wide LMS at that point and time,” Mades said, “and it took several months of conversations and demonstrations to explain how Houston ISD (where the district originally learned about the LMS platform) was using its LMS.” Once word began to spread, administrators on both the teaching and learning side of the equation began to push the initiative forward. As part of this process, the district was sure to include representatives from all subject areas and across all grade levels, and included district level administrators, school principals and students. “We wanted to be positive that everyone was educated on the process and on how we ultimately selected itslearning,” Grundahl said. 4) Establish a strong professional development model. To ensure a smooth LMS implementation, the district worked with itlearning’s trainers to create a professional development model for its users. Both new to the system themselves, Grundahl and Larson completed an 8-hour training session with a group of teachers. And while the training wasn’t mandated, Larson said they “wanted to learn more about the LMS and invited teachers to come and explore with us.” From there, the district began offering teachers (and their teaching teams) training sessions that incorporated basic overviews of the system and the opportunity to get hands-on with the new platform. “Some teachers jumped in immediately and wanted to start using the LMS the following day in their classrooms,” Larson said, while others “were apprehensive and yet excited to learn more about it.” After the sessions, both Grundahl and Larson followed up with teachers and kept in touch with them, “so that they didn’t feel like once the training was done, all of the support was gone,” Larson said. Nathan Grundahl is technology integrator, Anne Larson is digital learning manager and Michael Mades is director of technology at Sun Prairie Area School District, Wisconsin.